Our metabolism is the term to describe how our body transforms energy (think burns calories) to be able to run all its functions to keep us alive. Our metabolic rate is the rate at which our body burns calories. Many people understand the metabolic-rate as being to be the major factor in how quickly and how easily they can lose weight. The reality is a little more complicated than that. In fact, researching the subject for this page I have come to realize that my knowledge of the subject was not as strong as I had thought. There were a lot of questions that are more difficult to answer than they first appear to be. In this article we will review the topics of metabolism and metabolic rate and give you an overview. This is such a very important part of getting things right to maintain a healthy body and to be able to control your weight that we have actually sourced a free e-book on how to Boost Your Metabolism” and put together a little set of 7 e-reports that follow it up on a weekly basis. It is a subject that is worth delving into a little so if you wish to do that you can click the link on the bottom of this page to download your free book and reports. Once we go beyond these functions we burn a lot more calories in walking, climbing stairs, working out, playing sport, even just carrying the shopping. Since our metabolism varies the amount of energy used in each activity there needs to be a baseline to be able to measure the overall level of how efficiently our body is burning calories to give us this energy. To do that we go back to the amount of energy we use to support our systems when the body is at rest. There are two levels where the energy measure is taken, BMR and RMR. •	BMR stands for Basal Metabolic Rate, and is synonymous with Basal Energy Expenditure or BEE. BMR measurements are typically taken in a darkened room upon waking after 8 hours of sleep; 12 hours of fasting to ensure that the digestive system is inactive; and with the subject resting in a reclining position. •	RMR stands for Resting Metabolic Rate, and is synonymous with Resting Energy Expenditure or REE. RMR measurements are typically taken under less restricted conditions than BMR, and do not require that the subject spend the night sleeping” in the test facility prior to testing. RMR is important because using it we can measure the minimum number of calories we burn in a day. If we know how many calories we burn and we have a knowledge of how many calories we consume (eat), then we have a useful tool to work with when we are looking at changing our weight. 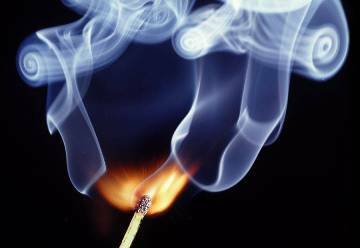 It is logical that if we are burning more calories than we are eating then something has to happen. Just what happens is more complicated than it looks but lets start with the basic concept of RMR. For each pound or kilo of body weight we carry we need energy to sustain it. Muscle required slightly more energy to maintain than fat does. Our vital organs require a LOT more energy based on an energy for weight ratio than muscle does. Overall though, it averages out. It tells us what we can expect for our height and weight and age that our RMR Metabolic rate will be. In my case I am 6 ft 2 in tall (188cm) and my RMR is around 2,000 calories a day to maintain my current weight. The immediate conclusion that people reach is that if I can reduce my calories to say, 1,000 calories a day then the equation is out of balance. I would be burning 2,000 calories and eating only 1,000 and the body needs to make up the difference and so I will lose weight like crazy. The first little fact we should consider here is not the main deal but it is interesting. Most dieticians seem to agree that one pound of fat is about equivalent to 3500 calories of stored energy. That is about 7,500 calories per kilo. If you can reduce your calorie intake to 1,000 less than your RMR you potentially will lose 1,000 calories of burnt body fat a day or about 2 pounds/1 kilo a week. The trouble with this is that in most cases it Just Does Not Work!! We will look at this in more depth over the next weeks but in brief, the problem is that your body is just too efficient and it slows your Metabolic rate down to meet the level of calorie intake. This means that dieting will normally slow your metabolism. That means less personal energy, you will have a dim spark in your eye rather than a bright one, low concentration levels, just not feeling good and everything becomes a chore to have to do it. High Metabolic rate, or 'fast' metabolism means energy to do everything. It is a huge difference to the way you live your life. Our current lifestyle fools our body because we are eating lots but there is very little nutrition getting down to the cells of our body. 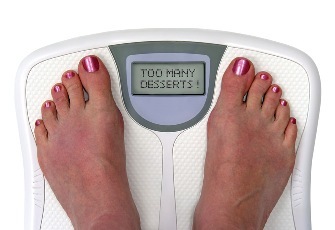 The body thinks that we are staving and it slows our Metabolic rate. If we are going to reverse this we need to ensure that our body in getting all the nutrition it needs delivered to its cells and then we can drop the calorie intake and our body will still keep our metabolic rate high. We have further problems because the food that is available to us from the supermarket shelves is grown in neutrient deficient soils, picked green so it ships well, stored for too long, if it is prepackaged it is norally over processed. There is just not enough nutrition in our food to sustain us. If we look at botanical factors and the active ingredients in our food with things like the amino acids then we are in real trouble. For the energy equation of the food we eat less the energy we burn equaling net gain or net loss in daily energy to be transferred into weight change we need to have our body getting all the nutrition it needs every day so that it does not fight against us and slow our Metabolic rate. This means we need to supplement our diet with nutrition supplements. Good quality nutrition programs are designed to give the required nutrition and often include an amino-protein shake that be used for meal (calorie) replacement. Any diet, I mean ANY diet, that is going to reduce the nutrition your body is currently getting, will cause the body to slow your metabolism and is destined to fail. This is why it is so important to ensure that whatever diet you use includes adequate nutrition. Otherwise your efforts are likely to see you putting back on any weight you lose and leave you will additional weight after the exercise than before the diet. Worse, the new weight will probably be stored on hips, thighs and stomach. This whole concept of RMR seems to be full of contradictions. There is an energy equation that will tell you how many calories you burn on a daily basis but if you use that to make sure you are burning less than you are eating it can cause weight gain. That does not seem logical. We know the energy equation takes age into account but when you research further you will find that age by itself has been shown not to directly change your RMR by very much. It sounds a little weird. If you are measuring two chaps, one 6 foot tall and a body builder and one 6 foot tall but who has not done more exercise in the last year than walking to the corner for a donut and coffee then you would expect their metabolic rates to be very different. What are the facts about this? How does our body absorb the nutrition that we are eating and what will it take to ensure that we give enough nutrition to our cells to ensure that our metabolism stays high and we can lose weight? 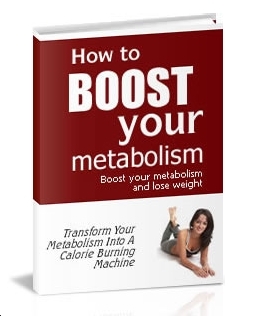 See how easily you can transform your metabolism into a calorie burning machine! What does your Metabolic Rate mean for your Weight Loss? SITE DISCLAIMER: Do these products “cure” anything? Of course not… but it stands to reason that if you cleanse your body and feed it the finest nutrition available, giving it everything it needs in balance, on a daily basis, that your body will do what nature intended, and give you the best possible chance to fend off sickness and disease. This Metabolic rate information is not presented by a medical practitioner and is for educational and informational purposes only. The content is not intended to be a substitute for professional medical advice, diagnosis, or treatment. Always seek the advice of your physician or other qualified health provider with any Metabolic rate questions you may have regarding a medical condition. Never disregard professional medical advice or delay in seeking it because of something you have read. The Metabolic rate resources on this site are not intended to be a substitute for professional advice. While all attempts have been made to verify information provided in this publication, neither the author nor the publisher assumes any responsibility for errors, omissions or contrary interpretation of the web site Metabolic rate subject matter herein. The site Metabolic rate contents are solely the opinion of the authors and should not be considered as a form of advice, direction and/or recommendation of any kind. If expert advice or counseling is needed, services of a competent professional should be sought. The author and the Publisher assume no responsibility or liability and specifically disclaim any warranty, express or implied for any products or services mentioned, or any techniques or Metabolic rate practices described. The purchaser or reader of this publication assumes responsibility for the use of these Metabolic rate materials and information. Neither the author nor the Publisher assumes any responsibility or liability whatsoever on the behalf of any purchaser or reader of these Metabolic rate materials. There is no guarantee of validity of accuracy. Any perceived slight of specific people or organizations is unintentional. This website and its creators are not responsible for the content of any sites linked to. Since natural and/or dietary supplements are not FDA approved they must be accompanied by a two-part disclaimer on the product label: that the statement has not been evaluated by FDA and that the product is not intended to "diagnose, treat, cure or prevent any disease."